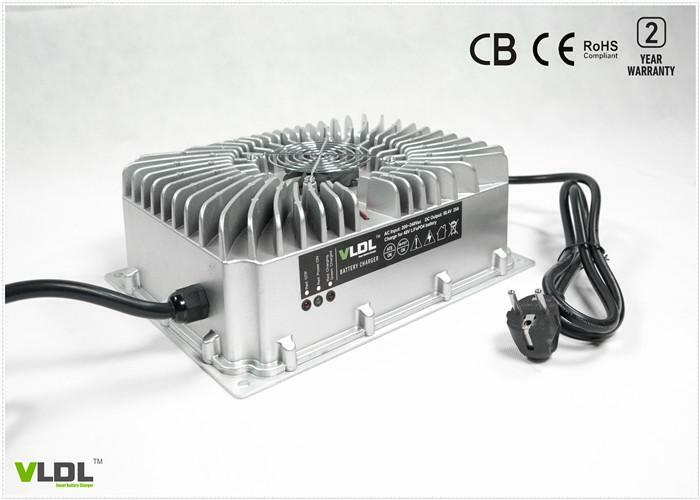 Waterproof / water - resist 36V30A on-board smart battery charger with IP65 rate is designed for lithium or lead acid (AGM, sealed) battery powered electric cars or boat appliecation, input with PFC worldwide 110 to 230Vac and rated output voltatge is 36V 30A. Smart max charging voltage is 43.8/44.1V for lead acid (sealed, AGM) type batteries and 44.1V for LiFePO4 batteries. MCU coutrolled and intelligent 4 steps charging with pre-charge, CC, CV and floating or automatic cut-off, this charger will charge your electric motorcycless very fast, with high efficiency and pretect your battery life maximumly. ◆ Auto worldwide Input 110 / 240Vac(90 ~ 264Vac) with PFC, 50Hz ~ 60Hz. ◆ Completely automatic battery charging: Pre - charging, CC, CV, Absorption, Float or Cut - off. ◆ Aluminum casing, light weight, portable, on-board. Q. What do the abbreviations MF, GEL and AGM mean? A. Gel, AGM, Vlies, MF, Calcium/Calcium and Hybrid are abbreviations for different types of lead-acid batteries. Q. What do the abbreviations LiFePO4, Li-ion, Li-MnO2 and LiCoO2 mean? A. LiFePO4, Li-ion, Li-MnO2 and LiCoO2 are abbreviations for different types of lithium batteries, that means there batteries using different cathode materials. Different batteries have different charging voltages. Q. What charger should I choose? A. It depends on the type of battery, the capacity of the battery, the application and how much you are prepared to spend. 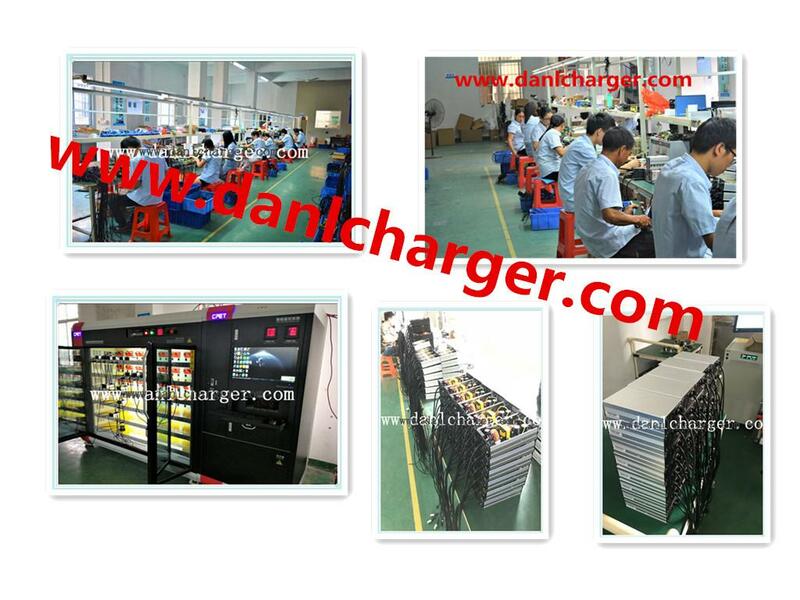 Just tell us your battery information, DANL battery charger engineer will recommend the most suitable charger for you or customized by your batteries and applications. Q. Can I charge several batteries in parallel? A. The charger has no problem whatsoever of charging or maintaining several batteries, as long as they are connected in parallel. The charger sees the parallel connected batteries as one large battery. The sum of the capacity has to be below the recommendation for your model. Please note that there could be a high current between batteries when they are connected together, i.e. use high quality wiring. Q. Can you really connect and then forget about the charger? A. That depends on your batteries state and charger’s type. Danl lead-acid battery chargers have maintenance mode(floating mode), charger charges with very small current at this mode, so you can forget about the charger but not exceed 24 hours. If your battery is lithium type and without BMS system, please don’t forget the charger. A. Danl is battery charger factory and we found in 2008. We have being in switching mode power supply and charger industrial for 15 years and have 10 years of exporting experience to worldwide especially to the high lever market of North America and Euro countries. Q. What's about the warranty for Danl battery chargers? Danl promises that we provide full 2 years warranty for our battery chargers. No return for faulty battery chargers firstly, we send you new replacing chargers firstly. Danl adopts latest ATE Automatic Battery Charger Testing System to test all of our battery chargers before shipping, guaranteeing extremely low rate of failure. So we have confidence to provide 2 years warranty. Q. Do you accept OEM order? A. Yes, we do. Danl provides OEM, ODM service. Please just tell us your project and we will provide a full charging solution for you, for example, your customized electric vehicles, sun-powered stations, racing batteries, on-board charging, etc. Q. What is about the lead time for an order? A. Normally, lead time is 7 days. If need large quantity, say 500 to 1000pcs, it will take about 15 days. 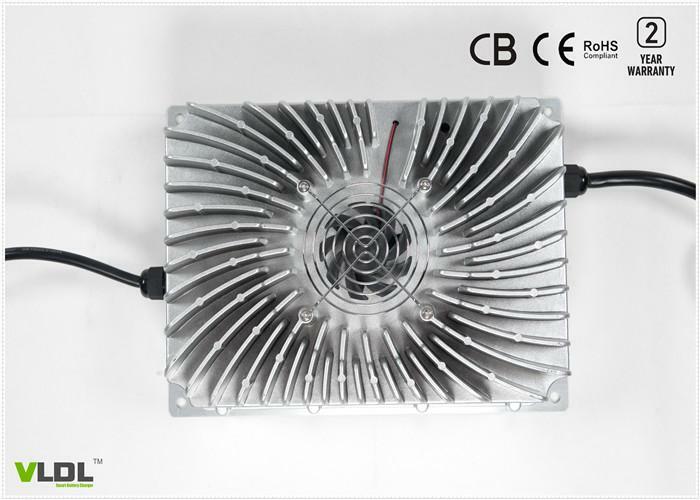 If you need ODM charging solution, lead time depends on technical request, often it needs about 30 days. Q. What certification do you have? A. We have CE, RoHS, CB currently. We will add and pass the test of certificate which applied in your country. Q. Why choose your smart battery chargers? A. Because our battery chargers have high quality but reasonable factory price. First, we do not use cheap and unreliable components to save cost like other charger factories who have very cheap price. Second, we use latest ATE smart battery charger test and aging system and guarantee the quality of every battery charger.